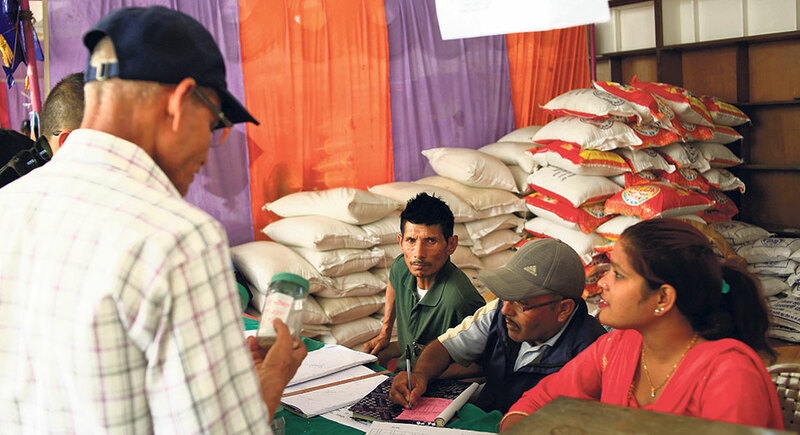 KATHMANDU, Oct 14: Salt Trading Corporation (STC) sold sugar at Rs 82 per kg at this time last year. Retail price of the sweetener is more or less the same at department stores and retailers at present even though sugar price has come down by about 40 percent in international market. STC, the state-owned company which used to distribute sugar to intervene market prices, has stopped selling sugar after the parliament’s Public Accounts Committee (PAC) directed the government to fix the price of sugar at Rs 63 per kg. 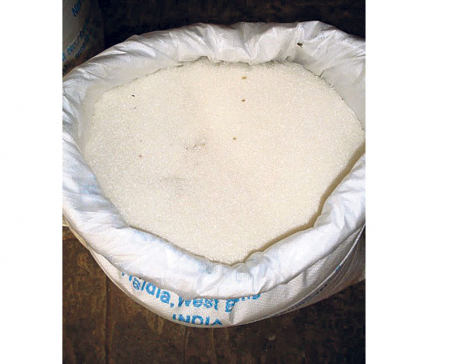 The state-owned company has said that it cannot sell sugar below Rs 70 per kg. STC had sold sugar at Rs 70 per kg for two days at fair price shops opened by different government agencies at various places across the country. STC officials argue that fixation of new reference price of US$ 460 per tons at customs points, making the sweetener more expensive. The government fixed import quota of sugar at 100,000 tons in the second week of September. As the quota has already been used up, there is a ban on import of sugar. Kumar Rajbhandari, the spokesperson for the STC, said that the company was waiting for the government’s decision on sugar price. 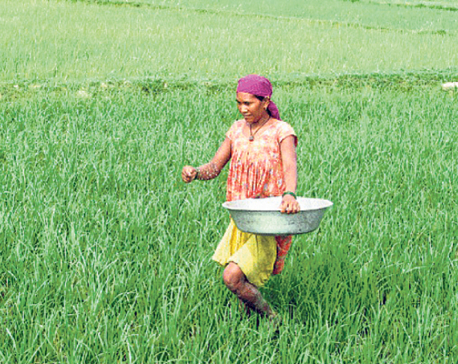 “The prices of sugar cannot be lower than Rs 70 per kg because of the hike in customs duty and new reference price at customs offices, which is higher than the import bill, has made sugar costlier in the domestic market even though the price is coming down in the international market,” added Rajbhandari. The price of sugar was $605 per tons at this time last year. It has now fallen by 39 percent to $380 per tons. Rajbhandari said that hike in customs duty, from 15 to 30 percent, as well as the new reference price has made sugar expensive. The government used to allow STC to import different commodities at 1 percent customs duty for market intervention in the previous years. But this time it did not receive any duty waiver. The government argues that the decision on sugar price was taken for strengthening national economy and to controlling ballooning trade deficit. In the budget speech for the current fiscal year, the government said that it would work to become self-reliant on sugar and 11 other commodities.